Ep 30 Licence To Kill Commentary : Do You Expect Us To Talk? 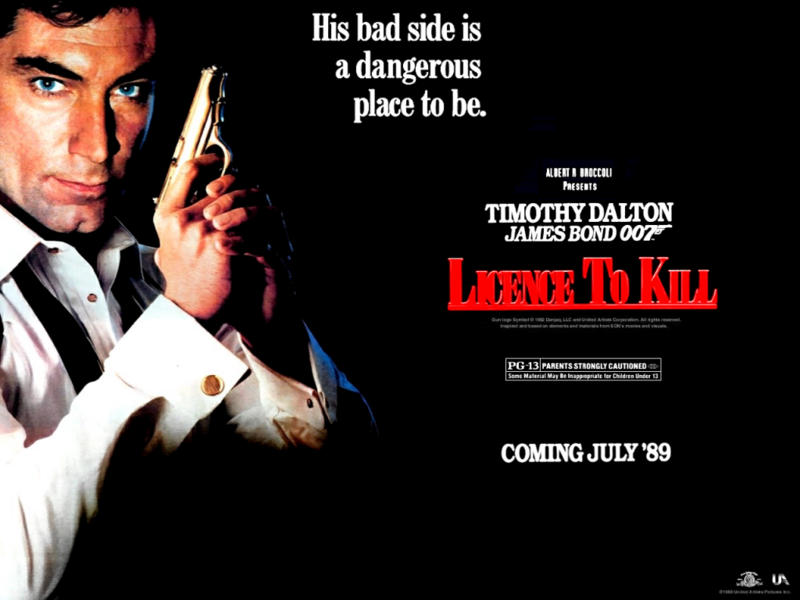 It’s commentary time again and it’s Dalton finest hour in Licence To Kill. Bond on a personal vendetta gets the talk over treatment by us three, Becca, Chris and Dave. Watch one of our personal Bond films while we do our best to talk about things instead of watching the film. Topics are varied that included a full review of Star Trek Into Darkness, Robert Davi’s films career, politics and of course wanked off not fingered. The audio breaks up on a couple of moments due to crappy internet but it’s all brief. Below is a link to the film tho it may not sync up because we watched it on the BluRay version. This entry was posted in Do You Expect Us To Talk? and tagged 007, bond, chris byrne, cinematronix, Commentary, Dave Bond, Do You Expect Us To Talk?, film, james bond, John Glen, licence to kill, podcast, Rebecca Andrews, Robert Davi, Timothy Dalton by Chris. Bookmark the permalink.